This play is a comedy about two young people on a date. They decide to go to a restaurant and must deal with a comical waiter who sometimes misinterprets what the hungry couple wants, resulting in numerous unexpected interactions! 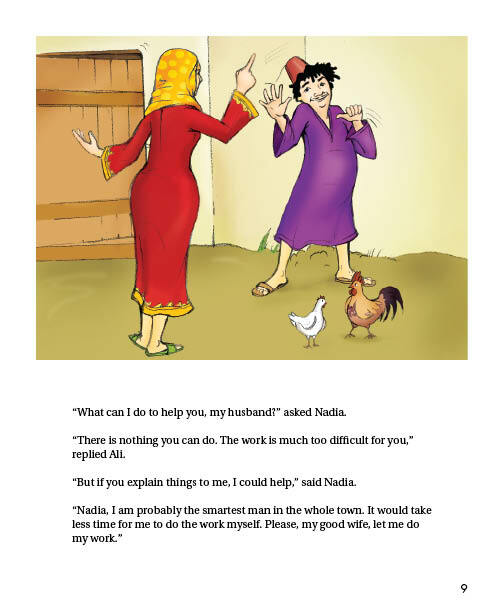 It is a wonderful play for the beginning older second language student as the funny scenarios help students relax and enjoy the language, while learning many essential words and phrases that they will need in everyday interactions. The emotional content of the play, often exaggerated, helps students quickly remember these important words and the comical misinterpretations on the part of the waiter serve to emphasize and enhance meaning for students. 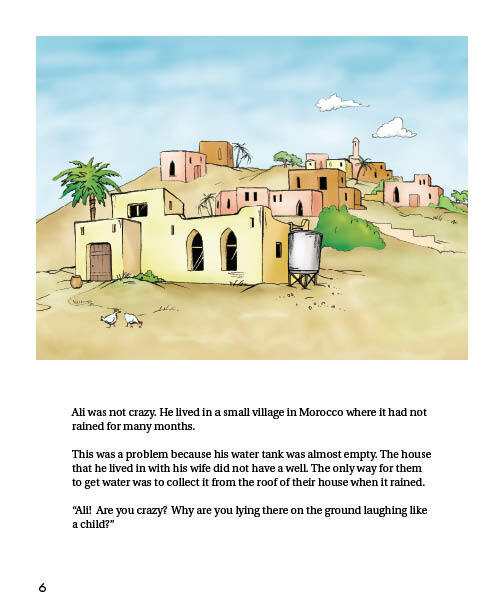 Ali lives in a North African village with his wife, Nadia. One day he decides to clean his water tank, a job that he has not done for ten years during which time his waistline has expanded considerably. 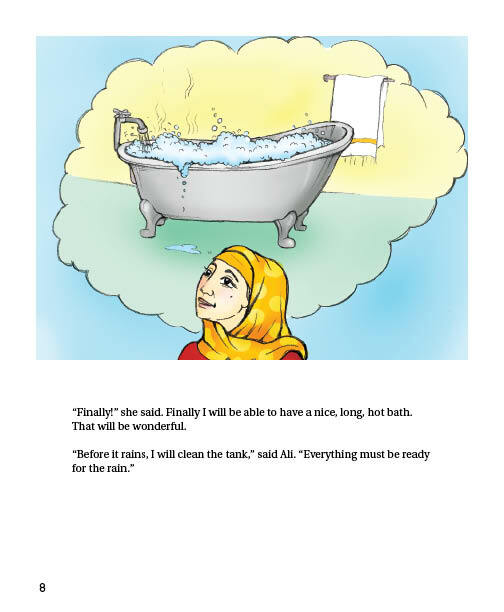 His problems start when he has trouble fitting through the opening at the top of the tank; then he is attacked by mosquitoes and finally, when rain starts to fill the tank, he remembers that he does not know how to swim. 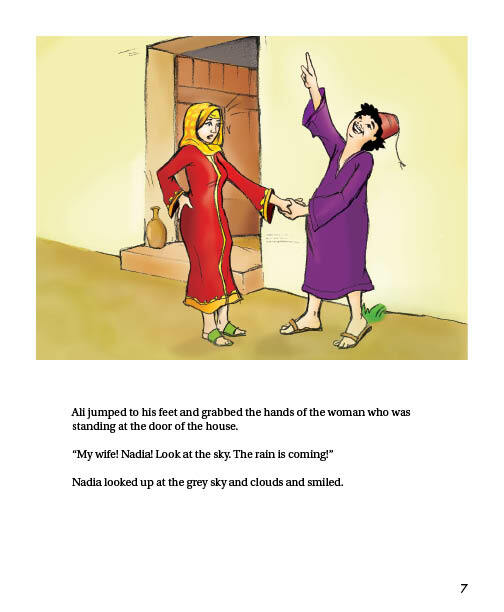 Nadia has been practising her dance routine during this time so has not heard his cries for help, but eventually she arrives and rescues him from drowning. 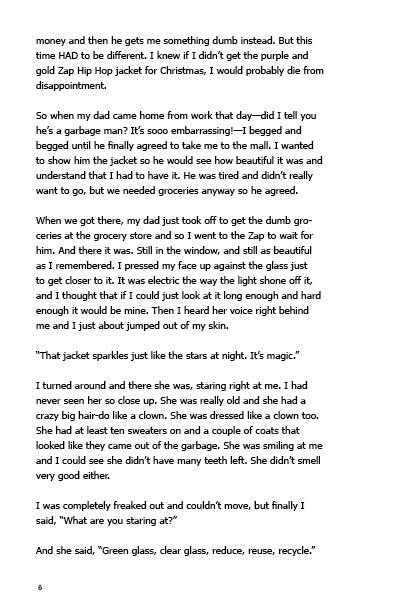 This is a touching story about an intergenerational relationship between a young girl and a very old woman who lives in a garbage dump. 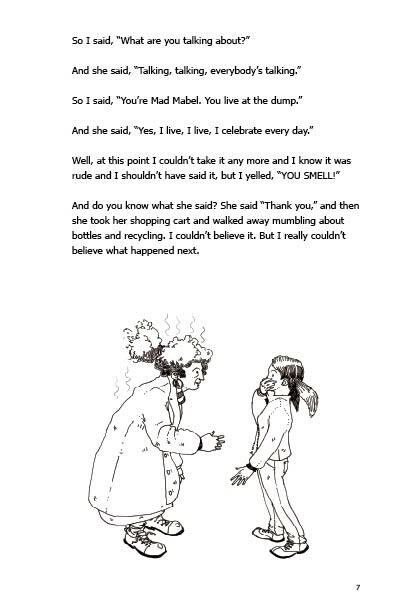 Mad Mabel teaches Anna many lessons through this story, including a sense of responsibility for others, kindness, love and friendship. 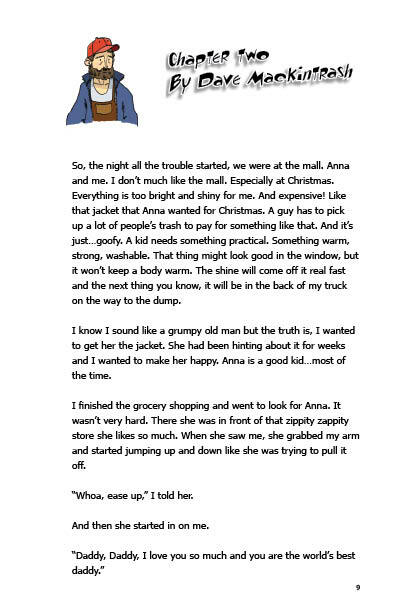 She teaches Anna that people are not always what they appear to be on the outside. 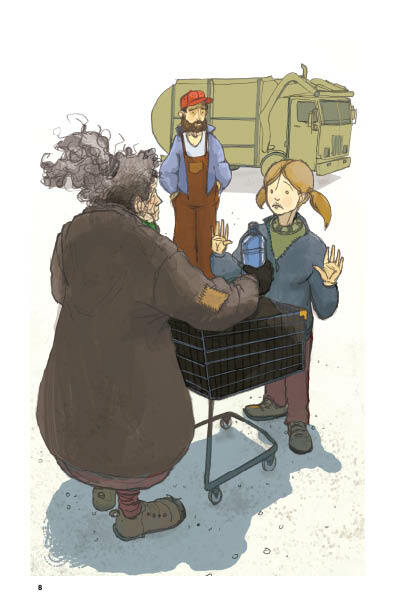 This story is sure to capture your students' hearts. It is the first in our series of short novels for adolescents in the series Stories inAction!